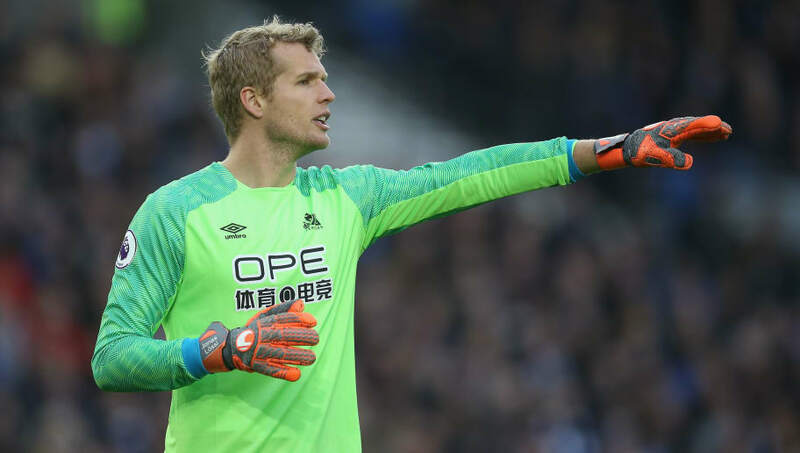 ​Huddersfield Town goalkeeper Jonas Lossl has revealed his excitement following transfer speculations linking him with a move to a number of top clubs on the continent. The Dane has been a standout figure for the struggling Terriers, showcasing his quality in goal despite the side's misfortunes. His contract at the Premier League outfit - who are currently rooted to the foot of the table - expires this summer and his strong showings have led to rumours of a switch to Ligue 1, with ​Monaco and Marseille thought to be interested in acquiring his services. With Huddersfield's relegation to the ​Championship all but sealed, Lossl could look for pastures new, with a return to France seemingly on the cards. He enjoyed a successful spell at Guingamp two years ago and his situation is now being monitored by several Ligue 1 sides. Discussing the rumours, Lossl said in an interview with Danish outlet ​Tipsbladet: "It’s a huge honour. These are huge clubs. Some I could only dream of playing for. "It’s a pat on the shoulder and proof that I did well when I was in France and also in the past few seasons, and that I’m currently standing on a springboard to take a step I’ve always wanted. Whether it will be there will be exciting to see." Though the Denmark international was enthusiastic about the prospects of moving back across the Channel, he also appeared open to remaining in the English top-flight. "I feel I have shown I have the level," he added. "I feel I have played two good seasons, so I’m proud. It’s not just my choice, there’s also the requirement of a club agreeing with me." Having initially joined on a loan deal from Mainz last season, Lossl's move was made permanent by Huddersfield last summer. His exceptional performances were vital in helping the team stay afloat in their debut Premier League campaign, but the 30-year-old has been powerless to prevent their demise this time around.